Investing in Real Estate London Ontario | Are You Guessing Or Investing? Investing in Real Estate London Ontario- Missing Opportunities? Quite a few times, people looking for income properties in London Ontario miss the boat because by the time they have confirmed all the facts, or, ‘run their numbers’ (usually erroneously), or, gathered solid information, the opportunity is gone because of other buyers or the property has been sold! I see this daily, the fence sitters, the ‘time is not right’ folks or in 75% of the cases, their analysis of the property and income is faulty, that their illusion or perception of cash flow, appreciation and risk tolerance is inconsistent with what wise investors do! The average real estate professional relies on what he or she hears & perceives, a great real estate professional assimilates all the available facts, sifts out the chaff, and makes the go/no-go decision on his/her ability to adhere to what I call the brutal truth. Great investors never buy because of what the market is doing, they don’t care. It can be up, it can be down, they understand cash flow, they look at the big picture and they think long term. They buy on expectation and sell on results! Period. As J.P. Getty said, “Investors bank on climate, while speculators bet on the weather.” In other words, the real estate market works more like a barometer than a thermometer. Getting good and accurate information and then being able to act decisively on that information is what really separates the wannabees and the wealthy. 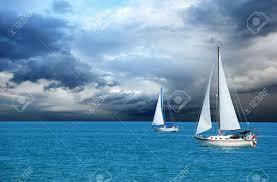 Your boat will never come in if it never goes out. First Time Client Meeting: We understand that each & every client has different needs, goals and financial and risk tolerance. We spend an immense amount of time discussing, understanding and designing a systematic approach to match or even surpass your criteria. It can be an apartment condo or townhouse to rent, to multifamily to small commercial properties. The Process: We then prepare a list of properties that will match your criteria and goals. We perform our due diligence on each property, verifying expenses, leases, licencing, permits, zoning, public transportation, schools, area rents, vacancies and perform our 44 point checklist to ensure we are thorough. If we have a successful acceptance of your purchase agreement, (which has conditions and wording to protect you) we work closely with your lawyer to ensure he/she has all the information required to ensure the closing takes place. We even perform a final walkthrough before closing to ensure that what you purchased is in the same shape or better than when you decided on the property and that all chattels are included and in good working condition. Leases and Screening Tenants: If you wish us to be involved in attracting tenants, doing credit checks and verifying employment and references and preparing a lease, we are very good at that. If, however, you wish to do your own tenant attraction, screening and leasing, that is fine with us, we do tenant leases only as an add-on to our services. We are not Property Managers. Optimizing Cash Flow & Capital Improvements: We will prepare a spreadsheet outlining what you can do to maximize your investment and cash flow in the years going forward. Selling: 99% of our clients are of the buy and hold mentality but weekly we are contacted by other owners asking us to sell their investment property or properties. Our selling process is even more meticulous than our buying process, the reason being, having all documentation and pro formas in place, we eliminate 90% plus of the stress in the closing period, proving that our properties sell for more and in less time! Access to my monthly wealth-building newsletter where I share different real estate investment strategies you can use to increase your income and build wealth. My special 6 part quality tenant training, I call it “The 80/20 System for Hassle-Free Management”, where you’ll learn how to screen tenants for your rental properties. Our 5 Point PropertySearch where we’ll help you identify undervalued properties. 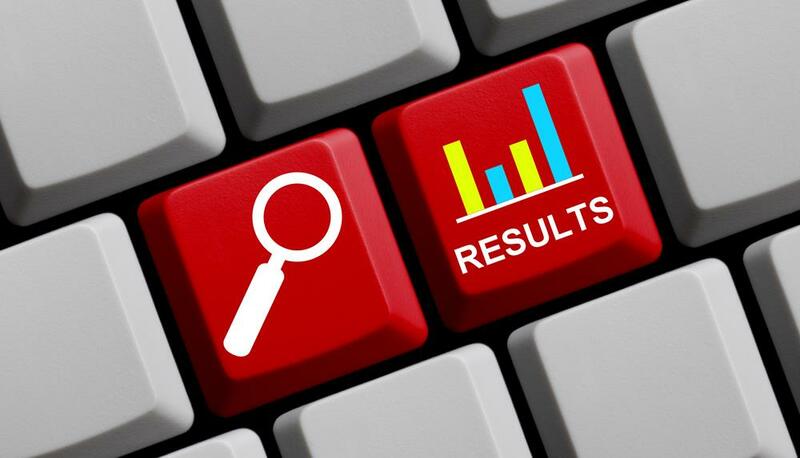 For properties that match your criteria, we will walk through them together and analyze the condition and profit potential. We will help you with legal contracts and amendments and we will negotiate your purchase for the lowest price and best terms. We will help you advertise, market, show and screen prospective tenants for your property. P.S. Investing is not risk-free. You can lose money depending on your skills as an investor. Your risk of loss is reduced dramatically because you’ll be buying a property that you can always resell. You could overpay for a property by not using a skilled Realtor, you could choose bad tenants by not using a skilled Realtor and not adhering to the steps a skilled Realtor will lay out for you. P.P.S. Yes, I hear this all the time, what about a new roof, or new windows, appliances etc. So what? Your tenant is paying down your mortgage every month. 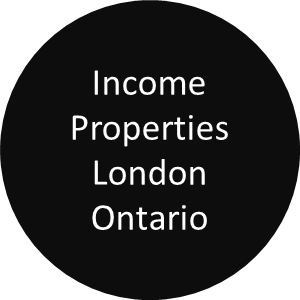 Search income properties for sale in London Ontario . Investing in London Ontario real estate rental properties can be financially rewarding if and when it’s done correctly. However, just as with all investments, there are some risks, and not everyone who invests in real estate has had good experiences. I’ve seen more than a few landlords quit because they were either losing money or just barely breaking even. What went wrong for the investors who didn’t succeed? They made some common mistakes. Maximizing ROI ( return on investment) isn’t just about buying a property and collecting rent. You might experience a number of events throughout the year that will increase or decrease your ROI. 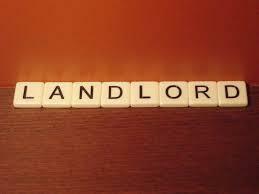 Tenants can decrease ROI by not paying their rent, moving out prematurely, or damaging your property. Being an investor in small real estate properties will not make you rich overnight, but over time you can build what I call slow wealth! You make money in real estate when you buy, not when you sell! All my client’s do well with this philosophy and though this is boring as a narcissist's fart, it works! Again, slow wealth and walking the talk! Below are two highly acclaimed tutorials about investment properties. 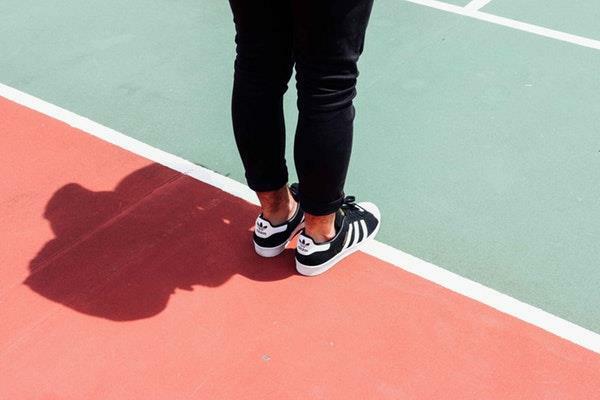 Are Your Cash Flow Calculations All You Need Before Buying? So many beginning real estate investors will decide whether or not a real estate investment is good or bad based on the answer to this single question: “Will the property produce positive monthly cash flow? "Basing your entire decision on the answer to positive cash flow question is a very limited way to look at an investment. Sometimes there just isn't a simple answer for you when you're looking to create wealth. There are several things real estate investing beginners or even experienced investors should consider. I have spent a lot of time studying and working with wealthy real estate investors and I am not talking about the flashy ones or the jet setters, I am talking about the person who looks and acts like your neighbour next door, yet has a portfolio of 5 or more properties. They could be condos, single family houses or multi-family homes and whatever they are comfortable with; they take the attitude of slow and long term growth. They do not flip, they do not take excess risks and they are great landlords because they know the secret to being a successful landlord. Being an investor in small real estate properties will not make you rich overnight, but over time you can build what I call slow wealth! You make money in real estate when you buy, not when you sell! All my client’s do well with this philosophy that I share and as J.P. Getty said “Investors bank on climate, while speculators bet on the weather.” Below are a few “lessons” that have been experienced the hard way by thousands of investors and a few tips how to overcome the consequences of poor decision making and erroneous opinions, be they yours or the so called experts! Using knowledge, expertise and technology to sell your property! The web is now by far the most important advertising medium for real estate, and that’s becoming truer every day. Fortunately, I’ve managed to stay ahead of this trend, and have been continuously working to increase my web presence so that I can push listings to more places very quickly, putting properties in front of online buyers very effectively. I hope you had a lovely vacation! We just wanted to take the opportunity to thank you for introducing us to Michael. What a wonderful man! From the very moment we met, he took the time to genuinely understand what we were looking for. So quickly he tuned into what we were interested in, even as we were learning ourselves. The process of finalizing our first investment property deal has been a bit of a roller coaster or perhaps somewhat of a scavenger hunt as we searched for the information we needed to accomplish the purchase. And that is truly how Michael seemed to approach it... not with frustration and impatience with people who were not helpful and creating roadblocks but as a treasure hunt that with persistence, optimism, and determination he would find the right puzzle piece would to open the lock.... and he did! He was able to get what we needed and we are on our way! What a kind and genuine man, we are lucky to have had the chance to work with him. Roz and I would like to thank you both for the effort you put into finding us tenants on such short notice. We realize the process may not have started off that well while the other folks were still living in the unit. We appreciated very much your patience and faith in us to bring the condo back up to standard in order to allow you to do your job properly. It worked out well in the end, and we hope these new folks will spend a while in our place and treat it with respect. Thank you! Ty your help has been invaluable. We are returning to Toronto tonight and really appreciate all you have done to help us. Hey Ty, thanks, great work, appreciate all your time and effort, and of course, you keeping us on track. I could not agree more with your latest email on people paying over asking price.The market must be accelerating even more than a month or two ago. We very much appreciate the work you have done in helping us to achieve a portfolio of ten rental properties, and in disposing of Pond Mills. We would not have known where to start were it not for having benefit of your expertise. I have been busy leasing xxxxxxxxxxxxx. It took six weeks to find someone decent, and I rejected seven applicants in a row, but I finally found a great candidate. All his references describe him as reliable and his landlord says he pays rent like clockwork. The lesson in leasing is not to compromise with a weak tenant and keep marketing like crazy until the right one comes along. Thank you for helping my clients estate dispose of the seven properties, I and the family are quite pleased with the prices we received, we now have one more property to go, which is a private residence, see the details below and thank you again. neighbourhood and how everything has been with the house. a large enough root cutting machine we were back in business! attractive offer to get this house. Taylor and I really enjoy it. we went with her and look forward to working with her again in the future. We will definitely be using your office in our future home buying process! arise when I am interested again I'll contact you. Just a brief note to thank you for selling my two income properties by Western. I know the 6 bedroom was a nightmare and thanks for taking the time with the Fire Marshall, the electrician, drywallers and getting the garbage guy out to clean up. I thought the deal was off a few times, thanks for keeping it on track. At times I thought I was going to lose money on it but in fact, I did far better than expected. I have included a little token of my appreciation for what you did for me and my family, and my father has asked me to offer you any of his various time shares for a week. Let him know, it'syours. Just like you said, we are now into our 11th condo that we have bought through you and you know, as I teach this, your systematic approach was the same as our first one, the only change being we did not know what or how do anything when we bought our first one. Thank you for your patience and setting us straight on the numbers, you have saved us I don't know how many headaches or thousands. We are now preparing to buy our 12th at the end of the year, of course, with your guidance. Oh, and thanks for the name of the furnace guy, he's great, we even had him come to our house and look at our A/C. Thank you for your follow up email. We are very pleased with Paul's help for finding and buying the property. Paul was very efficient and effective on each step of the buying process. He was also very helpful to us in finding a home inspector, a mortgage agent and a lawyer for closing the deal. It was a pleasant journey for us. I am sure we will have more opportunities to work together in the near future. Thank you for the excellent help. Fiona Douglas has recommended your work as Broker of Record & Owner at Envelope Real Estate Brokerage Inc. Details of the Recommendation: "Ty has been a pleasure to work with over the past couple of years, on a least two major projects we have had on the go. He goes above and beyond and has never disappointed us, and his calm demeanour goes a long way towards keeping us focussed when dealing in our very volatile real estate market. 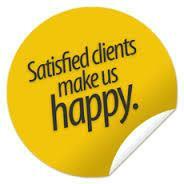 We have no qualms about recommending Ty's services highly, and with pleasure!" When I was looking at places with you last year you had mentioned purchasing gift cards for your tenants at Christmas time. I took your idea and bought a couple gift cards and the tenants seemed to love it!! Inexpensive and pretty simple, but they felt it was very thoughtful and like you said...how many landlords give tenants gifts?? All is well with the properties so far, I really appreciate the education you helped provide me in 2012...nothing beats the gift of knowledge. It's hard to believe I went from never owning a property only 6 months ago to now have two income properties in London running!! You really emphasized the philosophy that if you keep your place proper, and treat your tenants well, then you will have success (as opposed to the slumlord philosophy lol). Thanks and best of luck in the new year!! I will definitely be using Envelope for all my future purchases!! We finally closed the deal yesterday with Dan. Vanty and I would like to thank you for your professional service and help; we felt confidence that we were in good hands. Tenant is more than happy to sign another one-year lease agreement for the condo highrise apartment. It's almost like a happy-ending Hollywod stuff for now, but Vanty and I are aware that there will be a steep learning curve for us in real-estate investment ahead. We believe it will be challenging and rewarding for us. We'll be in touch again after our vacation. I reviewed all the statements and the invoices , every thing looks clear to me , yo did a fantastic work , I really thank you for your effort and appreciated. Now I am planing my booking to london ontario , on third or forth week of october , please let me know which time is more suitable for you. Just wanted to let you know that everything worked out with the couple I showed my place to. They provided two references, both of which said they wished all their tenants were this good. The guy is doing a fellowship at the hospital, so he has a fantastic job and they just come across as very respectful, quiet people. I used the lease you provided, and they signed on Tuesday. I asked them to bring along a rent deposit for last month's rent, and they could pay first month's rent on Sept. 1. Instead, they gave me a bank draft for entire first and last month's up front!!! I got $920/month, just like you thought would be reasonable and which covers my costs each month, and I only had the place for one week before finding tenants!! I am very happy with all the service you have provided. As a first time buyer, you were extremely helpful through the researching, viewing and purchasing processes. And even after I bought my condo in Pond Mills, and you had already earned your commission, you have promptly responded to every question I sent you regarding tenants, leases and the entire rental procedure. I can't thank you enough for everything. I will definitely be coming back to work with you again!! The lease looks excellent. Thanks so much for your help!!! I will let you know how everything goes. Looking For a Money Maker? Live on one floor and rent out the other or use it as a duplex! Investing in Real Estate London Ontario, Flipping or Being a Landlord? Flipping Houses or Renting Houses? Everything you read or see on those reality shows is about buying properties to fix up and resell. Very seldom do you hear about buying a property and holding it as a long-term rental property? 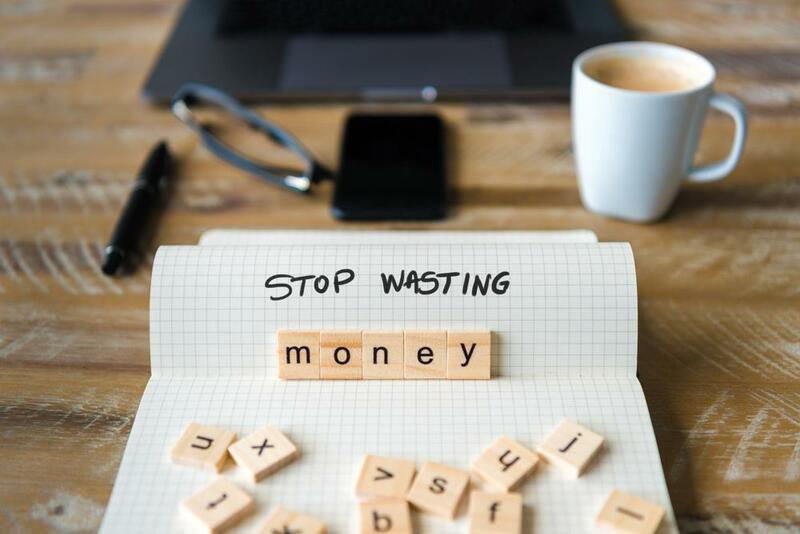 Do you want to be a fixer-upper and every day you are doing, doing, or would you prefer to eventually sit back and receive income for the rest of your life? A fixer-upper fixes up a place and if all goes well, makes a profit. Once the transaction is complete and they have collected a cheque at the closing, they are done and go back and repeat the same thing over again, or, try to. There is no additional income or profit available. In order to make any more money, you have got to and fix up another place. Work & take a risk… get a cheque. Work & take a risk… get a cheque. Work & take a risk… get a cheque. Flipping houses is a job and you don’t get paid unless you work. Even worse, the profit on a flip is fixed based upon the final sale price of the home. No matter what you do, you won’t be able to make any additional profit on the deal. Sadly, this profit can disappear very quickly if you encounter unforeseen problems in your renovation. Who really wants another job? The investor who focuses on investing for the long-term in rental properties enjoys annual income for life. They work to buy a property and get it rented to a quality tenant and then they sit back and collect rent cheques each month. This is the same as a writer who works to write a book and then sits back and collects royalties from their book sales or a songwriter or movie actress, do it once and keep getting paid! Work & take a risk… get a cheque once. Work once & take a risk… keep getting cheques! When the writer wants more cheques, he or she simply writes another book. They work again for a few months and then start collecting two cheques each month going forward. These cheques tend to compound on top of each other. The reason why is because every time they work they get paid multiple times from their effort. They’re still getting paid from their first book as they write and complete their second book. Even better, the profit on a long-term rental is unlimited as you collect more and more income with each passing year. One rental home that pays you $5,000 a year can ultimately generate $100,000 of income in 20 years, $200,000 of income in 40 years. And here is the best part; your tenants are paying down your mortgage! You can even leave your rental property to your children and they’ll collect cheques each month throughout their lives. You can’t compound home flips because you’re not still getting paid from your first flip when you’re working on your second flip. This means investors who flip homes really aren’t investors. Instead, they become employees and have to continue working to get paid. Flipping is a j-o-b and your boss will want you to work evenings and weekends for months! Note: I didn’t write the above and I can’t remember who did but I have been letting my clients know about this for years and those who apply this long-term strategy are doing extremely well! Fixer Uppers in London Ontario or Investing? Why be average? Why have an average career, average income, an average life? We are a very, very busy office and have room for a Realtor who does not mind working hard, is tired of being average, tired of an average income and has got what it takes to succeed. If that is you and seeking to work in a culture which is client-centric, where daily training & improving is a ritual & clients are plentiful, let's talk.